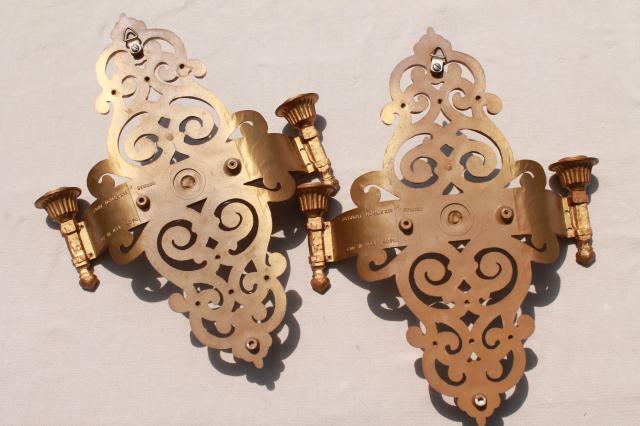 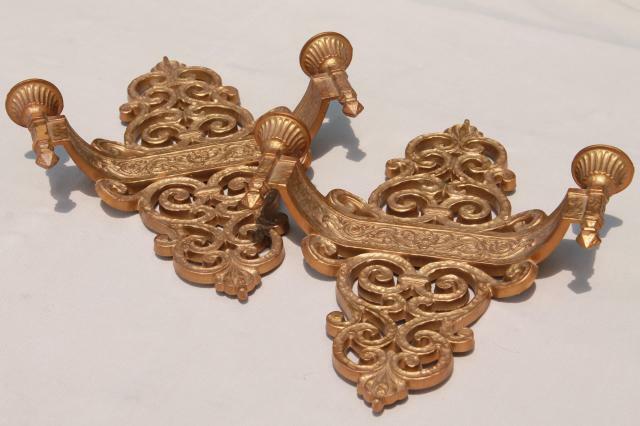 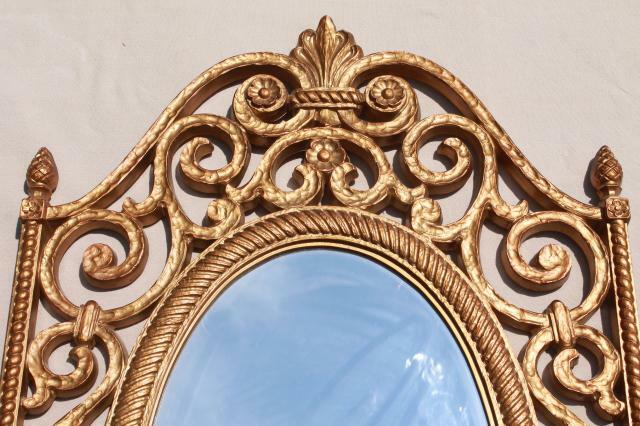 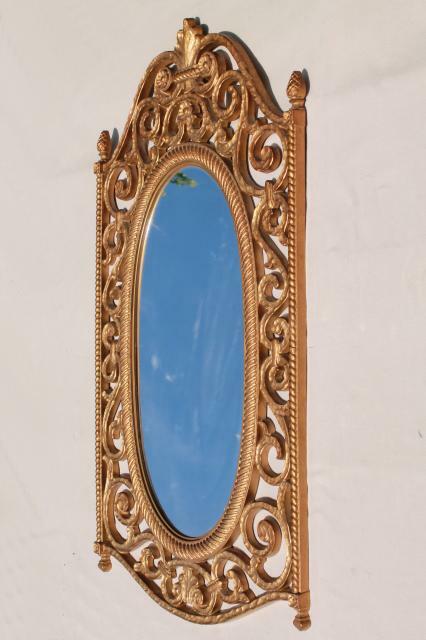 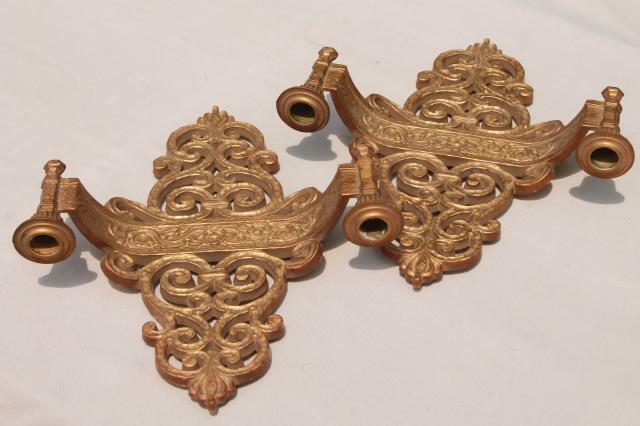 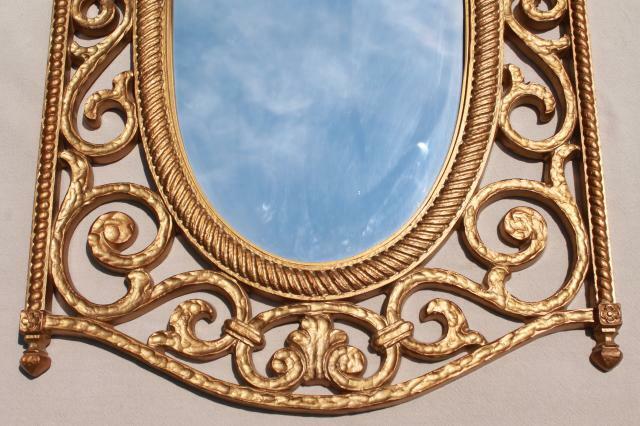 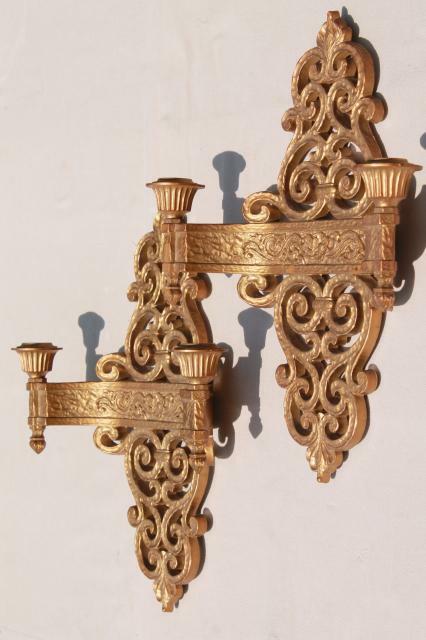 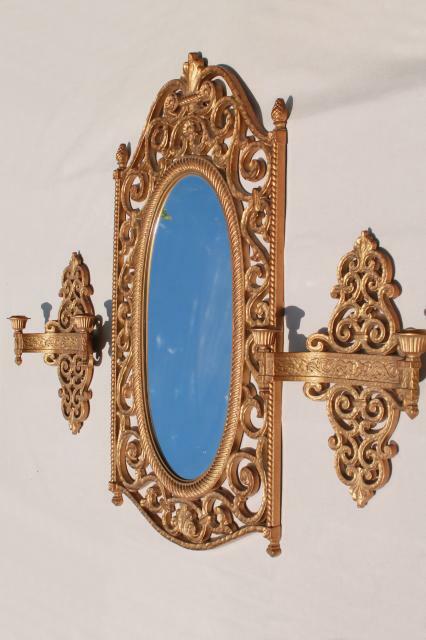 Empire style gold rococo plastic framed mirror and candle sconces set, 1960s vintage Syroco. 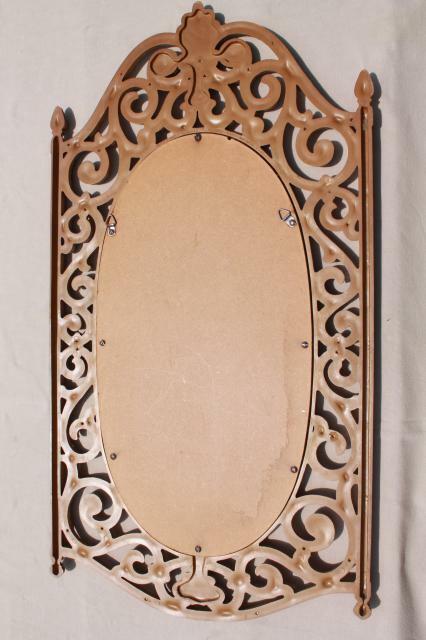 The mirror frame measures about 31 1/2" x 17", with glass about 20 1/2" x 11". 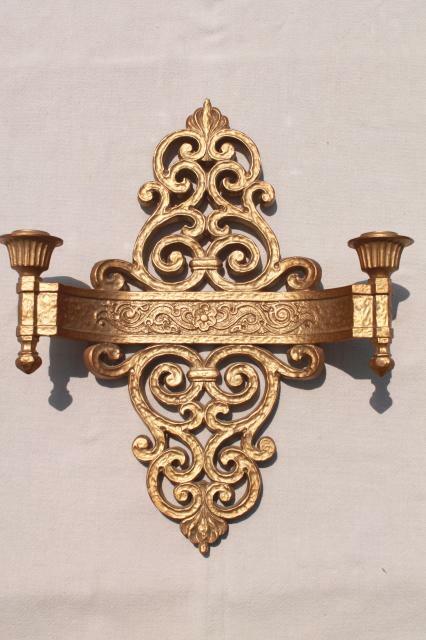 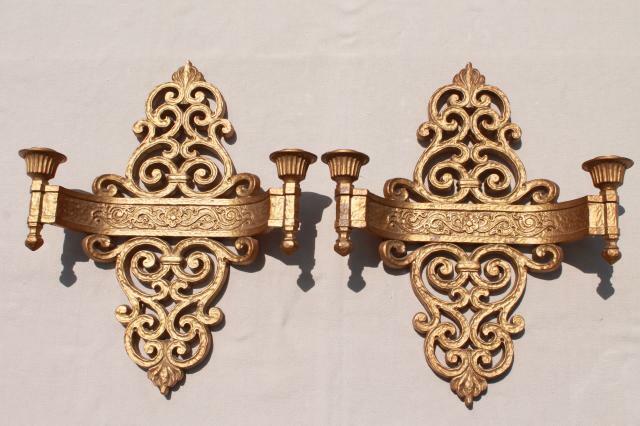 The wall sconces measure about 11 1/2" wide x 13 1/2" in height. 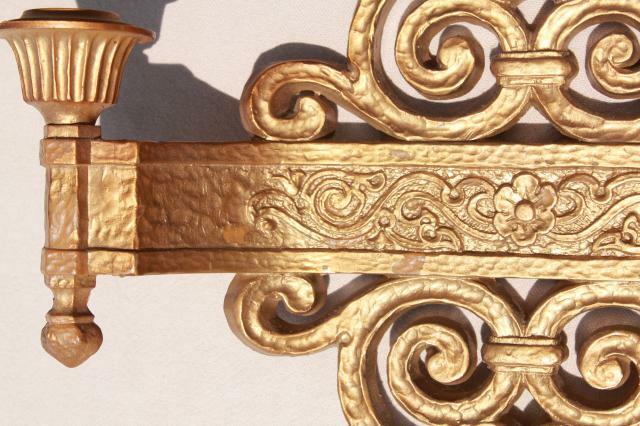 There's very little finish wear to the 'gold' on these pieces, but one of the sconces has a noticeable paint chip (shown in the photos). 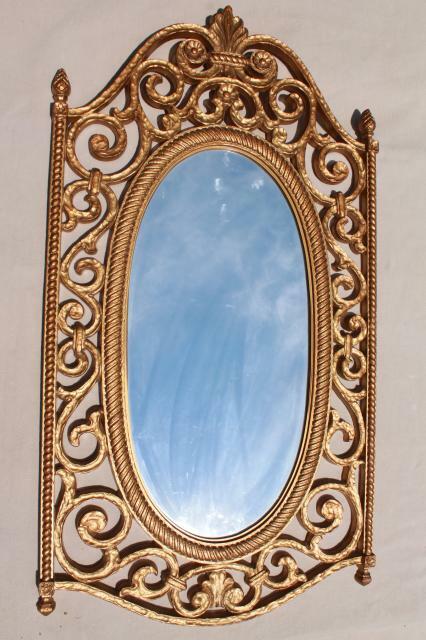 The mirror silver looks good, though not perfectly flawless. 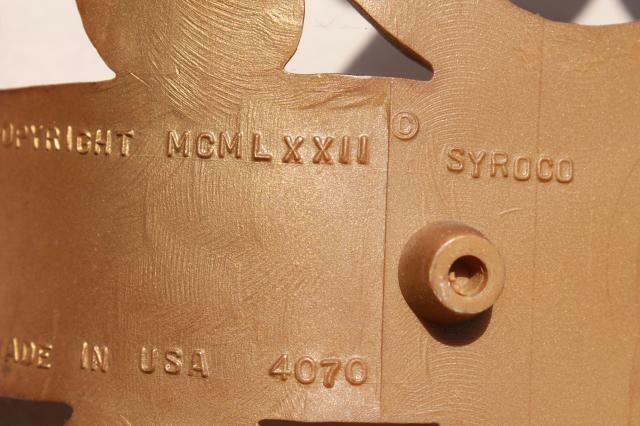 There's some water spotting to the hardboard at the back of the frame.